The ‘patch’ has livened up a bit over the last few days with a good scattering of migrants passing through. 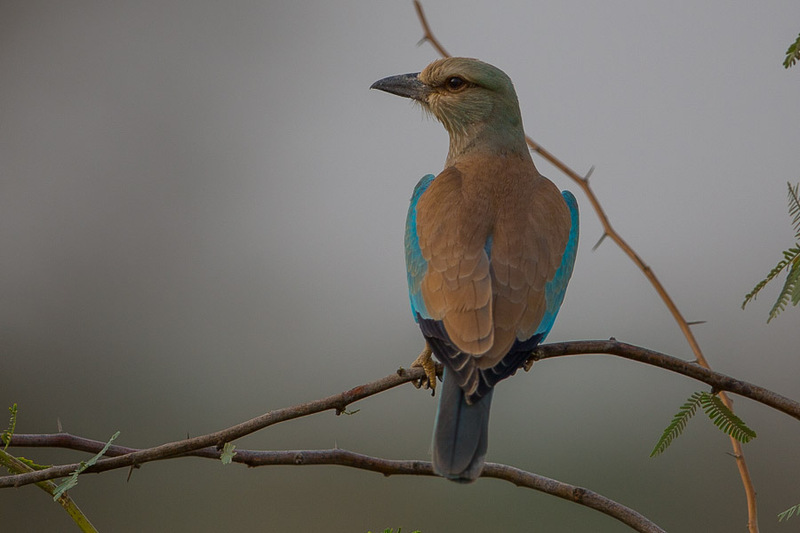 The most obvious birds seen have been two European Rollers, one in the spray fields and one at the back of the percolation pond. 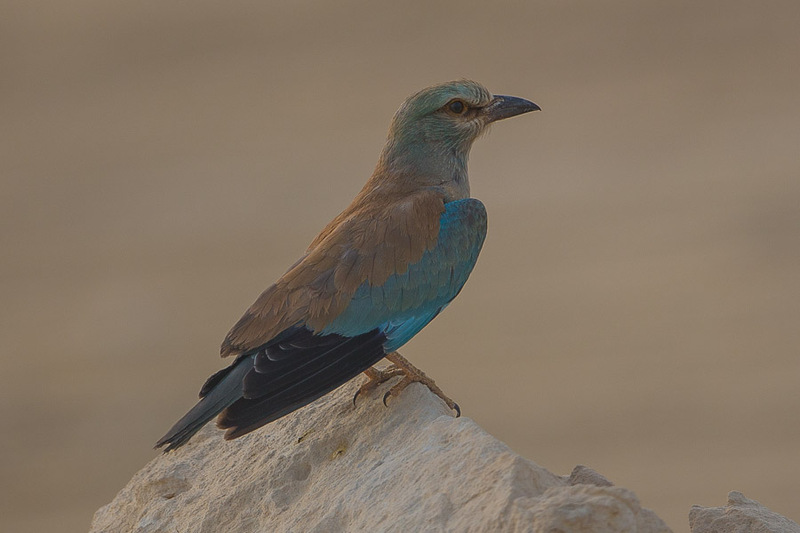 On one day they were both seen together sitting in a tall tree near the perimeter fence with September probably the best month for seeing the species in Dhahran. The drainage ditch held its normal supply of waders with Green Sandpiper, Wood Sandpiper, Kentish Plover and Little Stint present. One new bird here was a Temminck’s Stint, although it kept to the back to the ditch as it was continually being bullied by the Little Stints. 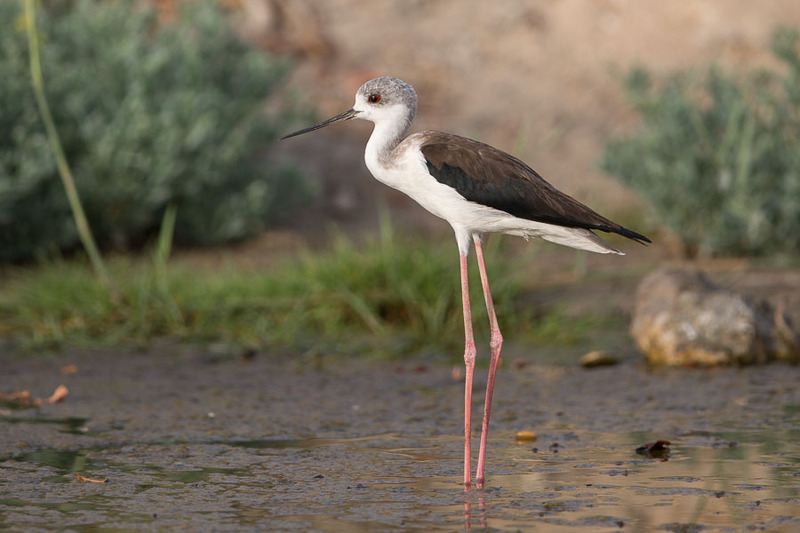 Another species seen in the ditch that has not been seen here for some time was a Black-winged Stilt which gave good views as the aggressive Little Stints left it alone. 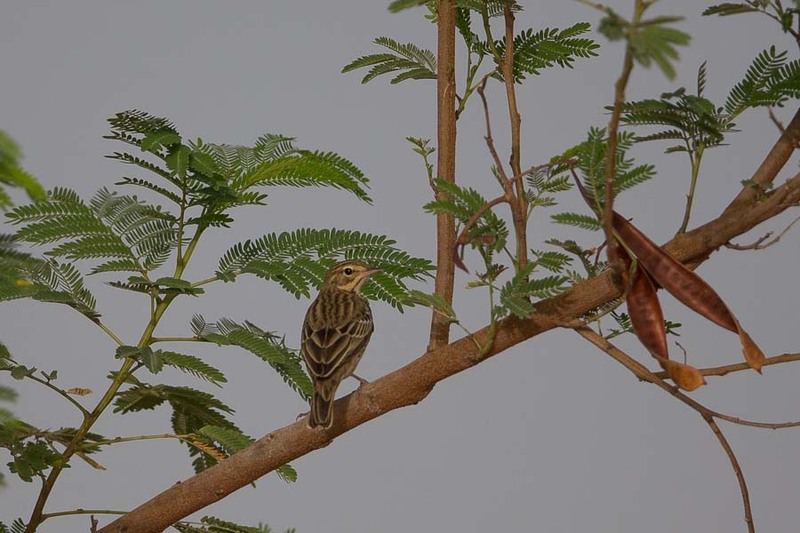 A large tree overgrows the ditch and a Tree Pipit was seen sitting in it and a little further down the ditch where there is a small stand of reeds growing I found a Great Reed Warbler although it gave poor views always partly obscured by foliage. A small group of Indian Silverbills were seen feeding on the grasses growing in this area, which are the first ones I have seen for some months. The settling pond is still good for waders with 25+ Little Stints and a similar number of Kentish Plovers. Twelve Black-winged Stilts were also present with one Common Snipe. Three Yellow wagtails including one male Black-headed Wagtail feldegg were seen along the reedy edge and a first year Citrine Wagtail was feeding on the mud. 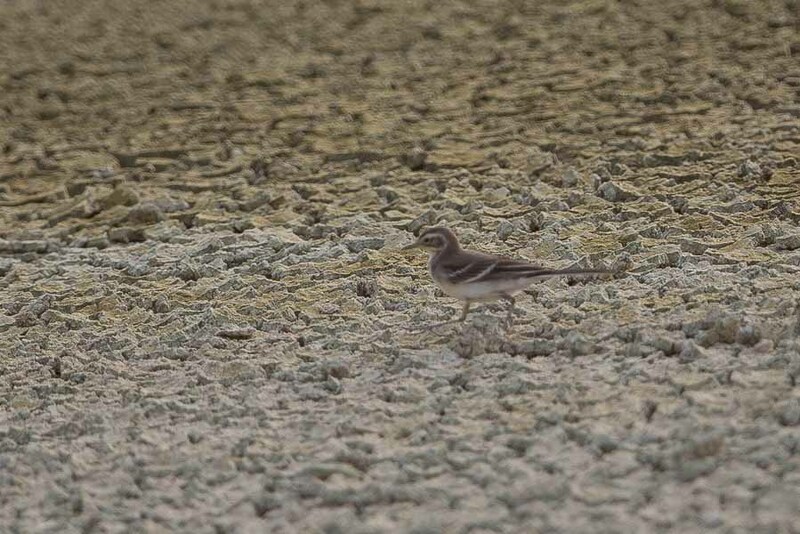 Citrine Wagtail appears to have become more common in the Eastern Province over the last few years with regularly sightings occurring. 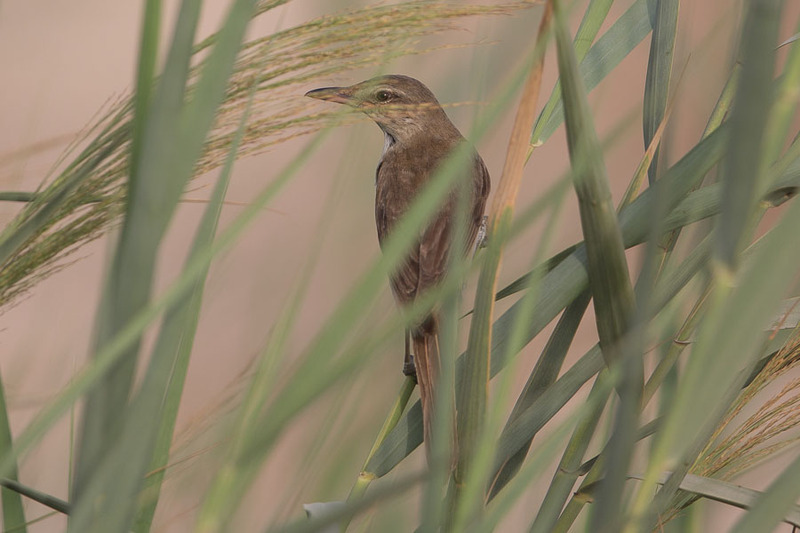 Great Reed Warbler - 'Monster-Monster', nice stuff very envious! Always good birds to see and although regular on passage not common.